Job interview coming up? How to make sure you dress to impress! If you have an interview coming up, you’ll no doubt have lots to think about and prepare. Once you’ve done your research and put in the preparation, you should be feeling more confident. And while you’re making sure you’re full of knowledge on the inside, it’s important to remember to take care of your appearance on the outside. Not only will this help make a positive impression on your prospective employer, you should find that it gives you a confidence boost too. Your appearance can have a big impact on the way you’re perceived by an employer. They are likely to make assumptions about your self-confidence and self-care based on your clothes, hair, shoes, nails etc. By making the right first impression, the hiring manager or recruiter is likely to be more open to listening to what you have to say. However, if you make the wrong first impression it will be very difficult to overcome later on in the interview. When a hiring manager is interviewing you, they will be trying to visualise whether they can imagine you being part of their team and a suitable representative for their company. Projecting the right image will help you achieve this. Invest in a new outfit: If you have interviews coming up and you’ve not bought a new suit or smart outfit recently then it could be a good idea to invest in a new one. Make sure you choose an outfit that fits you well and makes you feel great. Looking your best will also help you feel your best. Echo the company dress code: What you choose to wear for an interview may vary according to the type of company you’re interviewing with. For example, employees of a large corporate company are likely to have a more formal dress code than a creative agency. If the organisation has a casual dress code it’s often a good idea to wear a smart co-ordinating outfit rather than a suit. However, casual clothing such as jeans and trainers should be avoided, even if these are typically worn by the staff. If you’re unsure, you can always take a look on the company website and social media sites to gauge what the typical dress code is and try to echo this as much as possible to show them that you fit in. If you’re interviewing through a recruitment agency it could be a good idea to speak to your consultant about what they would recommend. Be smart in appearance: Double check that your interview outfit is free from unwanted pet hair, deodorant marks, loose threads, straining buttons and that tights are not laddered. Don’t forget, your appearance includes accessories too! Handbags and briefcases should be smart and documents organised so you can easily retrieve anything that you may need for your interview. Jewellery should be subtle and kept to a minimum so it doesn’t detract from the rest of your appearance. Make sure you’re well groomed: Men should be clean-shaven or have their beards etc. closely trimmed. Fingernails should be clean and hair should be neat and tidy – if it is long you may prefer to tie it back. These things may all sound very obvious but when you have so many things to think about, it’s not uncommon for some of them to be overlooked! It’s often difficult to be objective about the first impression you are likely to make. If you’re not sure and there is someone you trust to offer objective advice it could be a good idea to speak to them. 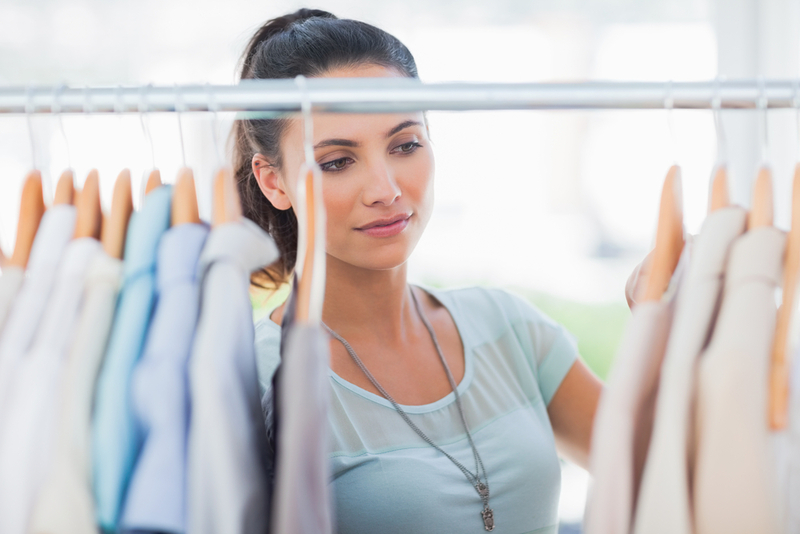 If you’re still unsure another idea is to get advice from a personal shopper in a department store – this service is usually free and could give you some ideas of which outfits suit you best. By taking the time to work on your personal image, you’ll help create a positive impression to your prospective employer of someone who is capable, confident and will fit well into their organisation, taking you one step closer to landing that perfect job. We’ve teamed up with T.M.Lewin to provide you with a handy infographic on Cracking Office Dress Codes.